Is everyone enjoying their new figure? The finale of the Senjougahara blogs is here. Lat time I went through how the stationary was painted. For the part in the picture above, the scissors, pen and ruler would all me made as a single part and then painted by using various masks. 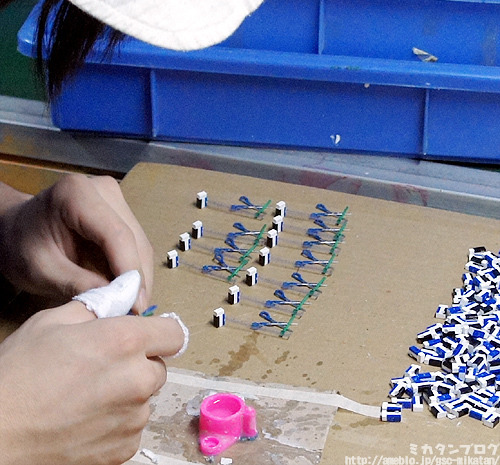 Today we’ll look at how the painted pieces are put together! 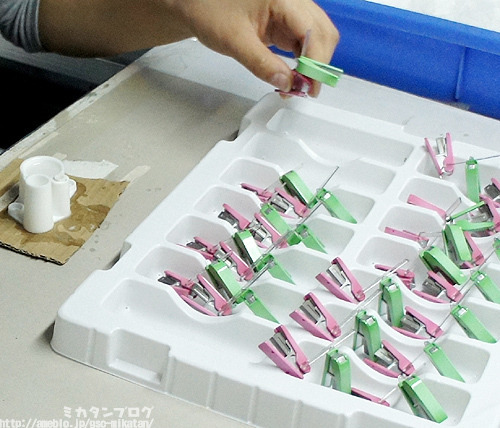 In this photo, the eraser and the tips of the ruler are being glued together. The little pink container in front of her hands here is filled with a special bonding agent, and the little sacks on her fingers are to prevent the glue from sticking to her skin! The biggest part – the scissors. As you can see these are actually first made in two different halves. They are glued together, one-by-one! The toothpicks there are actually tools used for the gluing – the sculptors here at Good Smile actually use the little toothpicks as well! 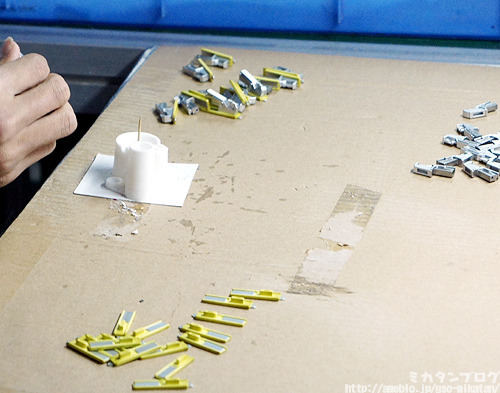 I’ve said it before and I’ll say it again… the factory workers in China really are craftsman!! Gluing the outer and inner parts of the stapler! The stapler has a large area in which the outer and inner parts can be glued together, so by creating them in two seperate pieces and then gluing them together a more accurate rendition of a stapler can easily be made. The scissors, craft knife have all been glued together! 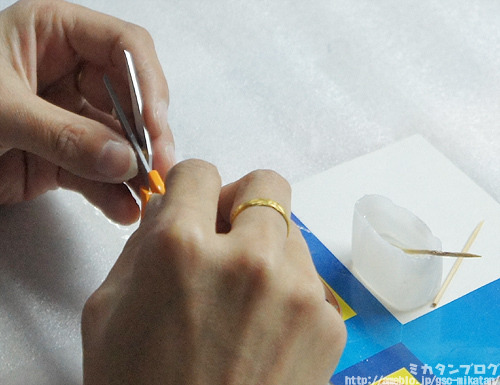 There isn’t much place to glue the smaller parts like the craft knife and pen, so gluing them is very difficult – if you use too little glue they’ll come apart, but if you use too much the glue will end up visable. There is no way I’d ever be able to do this…!! 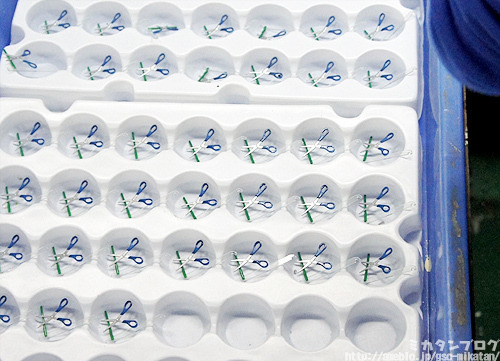 Take a look at the bottom right to see a complete part… how can it be so tiny!? How do they always come out at the same angle? Bases that adjust the angles! As the gluing is done the parts are placed on these bases to make sure the angles are correct. 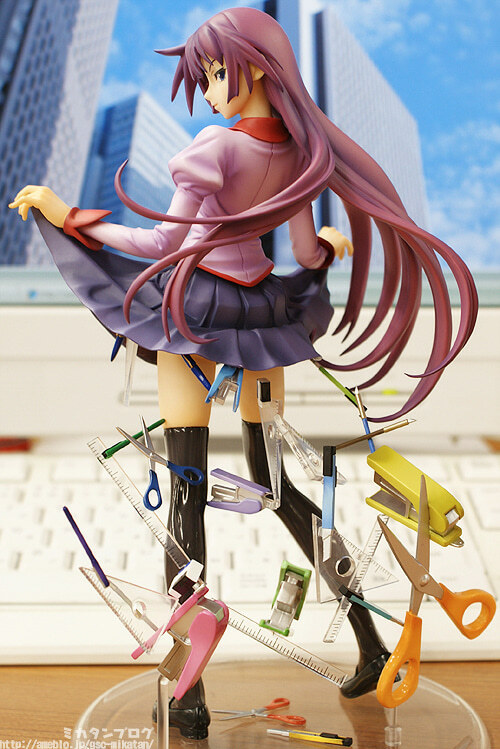 Every single Senjougahara figure has every single part finely tuned like this! It’s incredible! 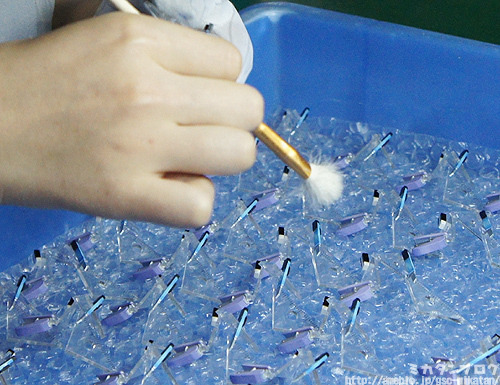 Particularly clear parts like the ruler show dust very easily, so at the end of the process all the parts are dusted off with this fluffy little tool. Careful work down to the very end! You can appreciate the price of scale figures seeing how much work needs to put into them. I’m definitely keeping better care of my figures ever since my China trip! She’s on sale at all of our partner shops! But today I’ll be looking at some other new products! figmas of Hitagi Senjougahara and Koyomi Araragi! They look so good displayed with one and other! 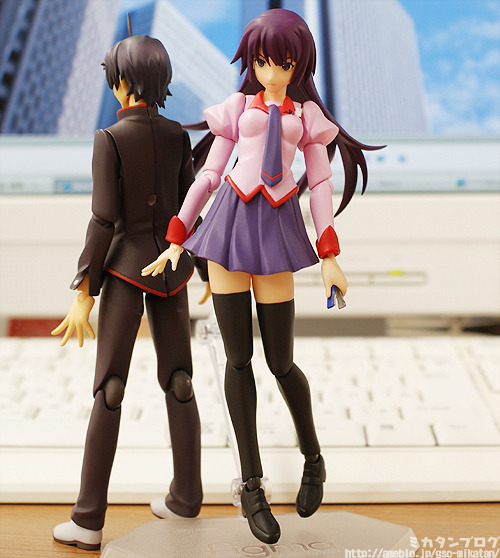 Ararararagi-san doesn’t get nearly as many figures as Senjougahara, so this is for all those Araragi fans! I want more figures of male characters… please sell, Araragi!! She comes with three different expressions, as well as a ton of stationary just like the scale figure… she also comes with exchangeable hair parts to put her hair up in a pony tail! 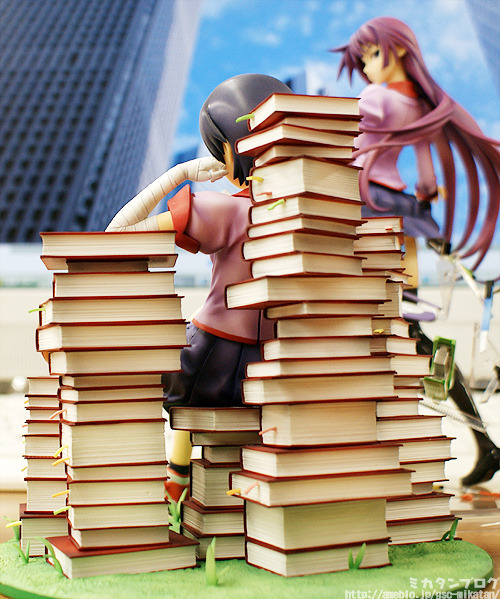 You can create all kinds of scenes from the anime… and even more if you grab Araragi as well. 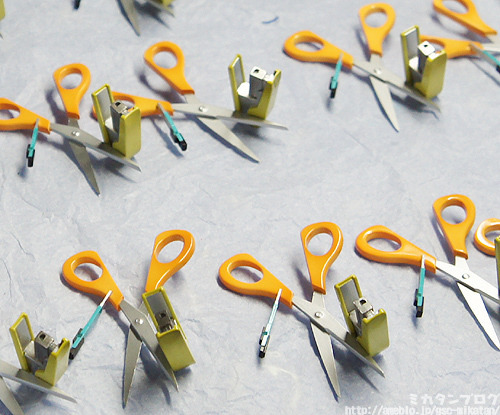 Araragi also comes with three expressions, separate fringe parts, his bag and effect parts! I really love the two different fringe parts – the one covers up his eye and the other one shows it. Plus you need to see the back of his neck! You can see the teeth marks from Shinobu-san… It’s perfect! Everyone remembers the scene where Senjougahara fell from the stairs! Are now up for preorder! 1/8th Scale Suruga Kanbaru coming soon! It’ll be on the blog sometime soon as well, so look forward to it! 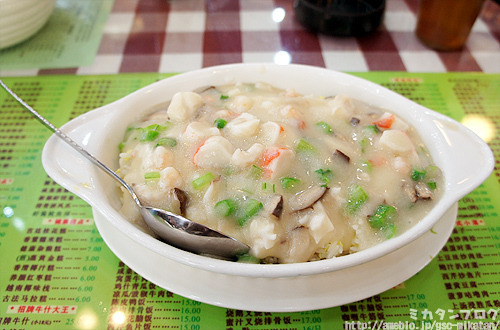 Chinese food has a very fine taste to it which I actually really enjoyed!